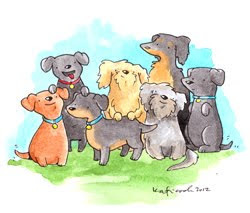 I am really excited to share today’s collection with you! 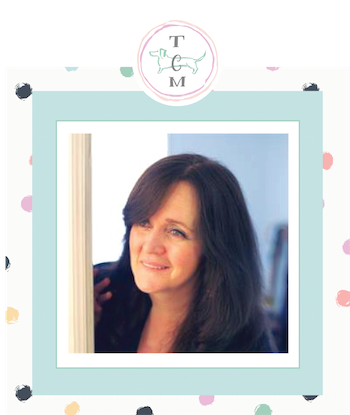 It’s filled with fresh ideas that I think you will enjoy. 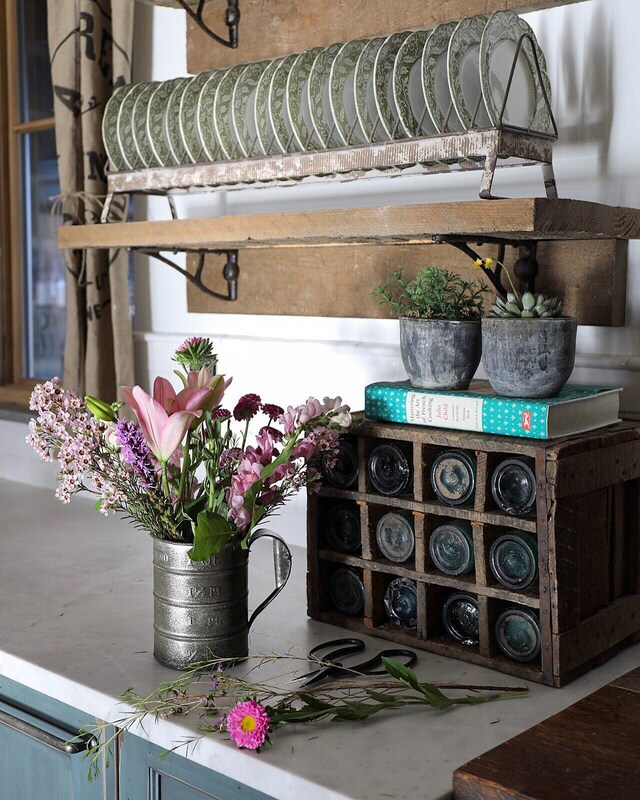 Today is is all about 18 Awesome Farmhouse Alternative Vases …there are also a few planters in there too. So it is time to say MOVE OVER Vases…there is a new game in town. There is a little bit of everything and I truly think it will Inspire you to create your own unique stye. So sit back…pour yourself a cup of your favorite brew and then set your imagination free. 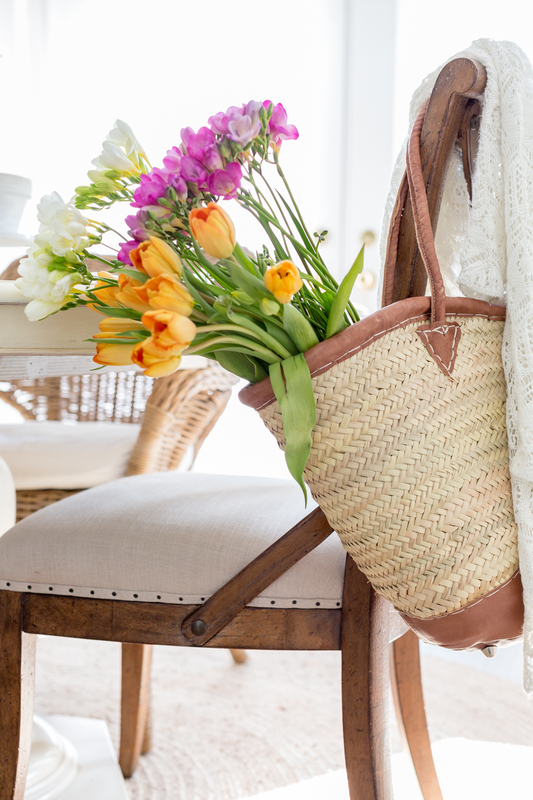 I highly suggest a visit to the store for some Fresh Blooms…you are so going to want to play with them! 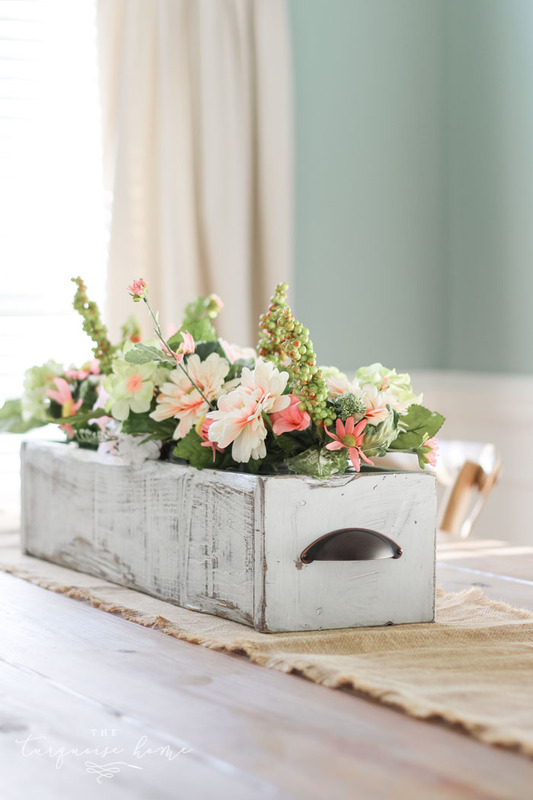 How about a Birch Tree Branch Hollowed out…what a Farmhouse Stunner this idea is over at Hi Miss Puff. If you happen to have a branch…you can hollow it out easily with a router. Here’s a fun one …especially for all the Thrifters out there…look for an old Toolbox or even a Lunch Box! 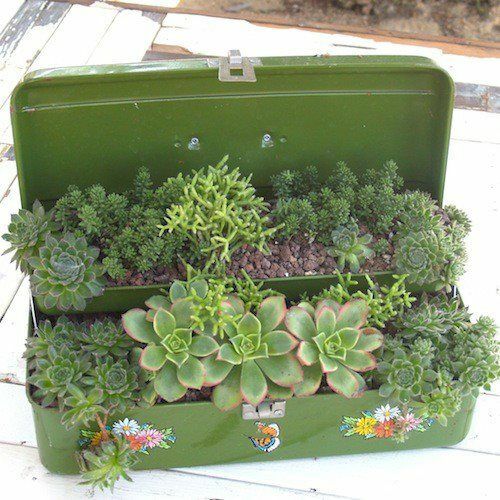 What a perfect place to plant a garden of succulents. If you don’t happen to have a green thumb…faux succulents will work perfectly with some gravel and dry moss. 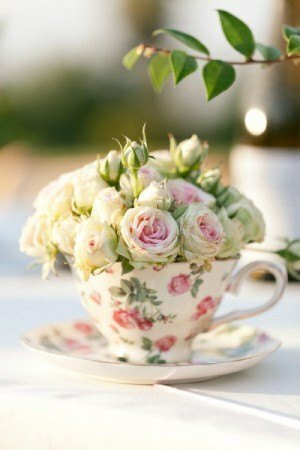 Have you ever thought of using a Measuring Cup for a Vase? Keep your eyes peeled at the Thrift Shop. I think a vintage Sifter would be pretty awesome too. I have my Grandmas and I think I am going to be dusting that powder sugar off of it and filling it with some pretty blooms! 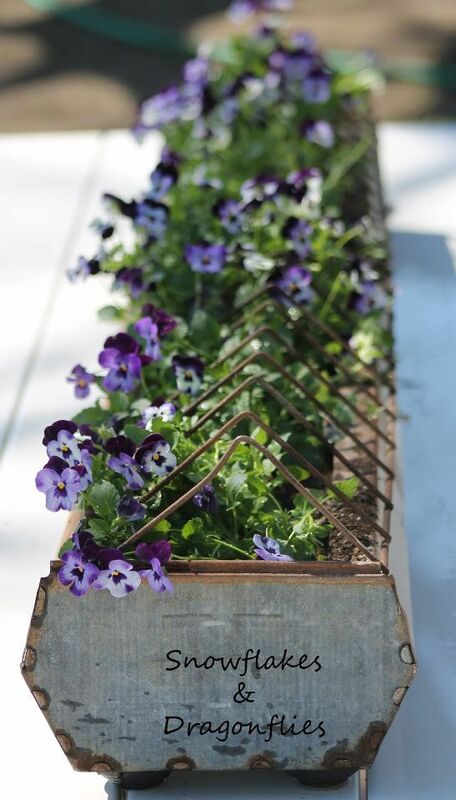 I would never have thought about using a vintage Chicken Feeder as a planter…but it sure makes a HUGE Farmhouse Presence doesn’t it! This is another items to put on your Thrifting List…don’t you think! 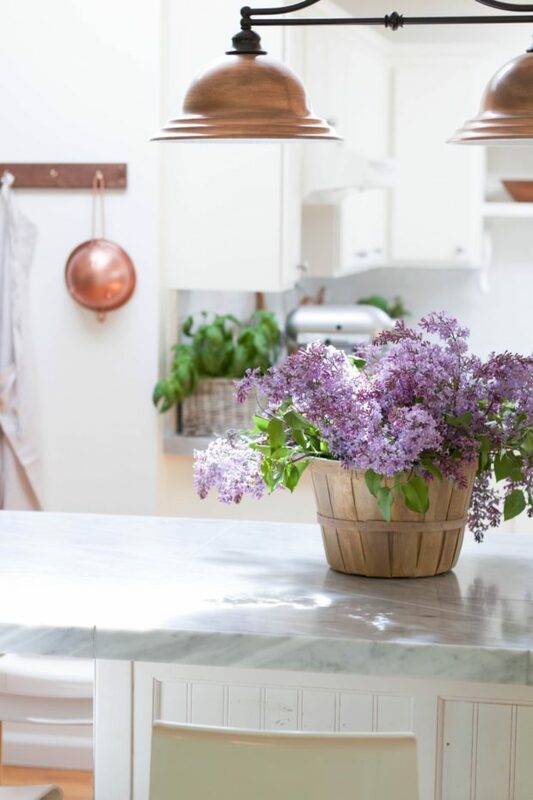 Something as simple as a White Iron Stone Pitcher can make the perfect Farmhouse Vase. Actually just about any pitcher would look great. Once again …put “Pitcher’s” on the Thrift Store List…or any store that you frequent that has a Dish Department. Lucy from Craftberry Bush sure does have a way with picking the perfect piece. 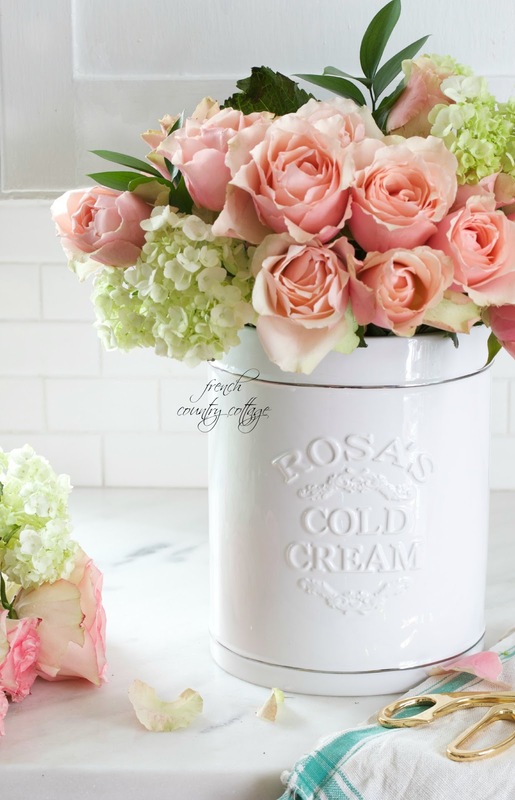 What about a Bushel Basket from the Farmer’s Market…place a container inside the basket (maybe a coffee can) and then fill it up with your favorite blooms…just can’t get more Farmhouse than that! 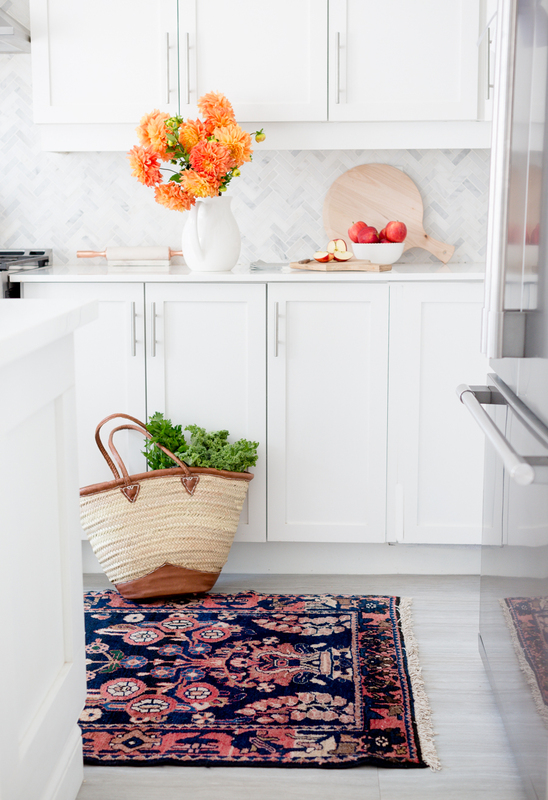 Doesn’t this piece just make The Zevy Joy Kitchen smile. Courtney simply has a way with flowers and being unique in the fabulous French Farmhouse World. 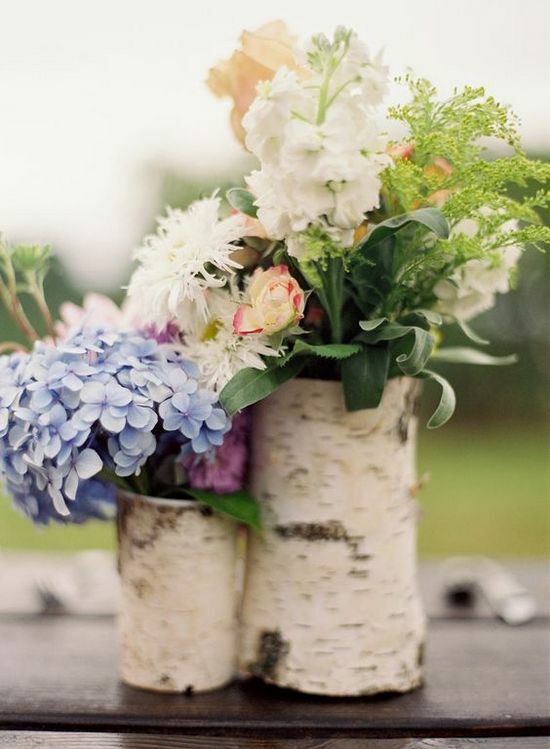 I simply love the idea of using a crock as a vase. How gorgeous does this look. For more beauty…be sure to visit the French Country Cottage. Over in Lucy’s Kitchen over at Craftberry Bush she takes her fresh beautiful blooms and places them into a wonderful straw tote. Of course there is a vase in there…but tell me how amazing this looks!!! You could hand this tote on a rack too. It’s just such a fabulous idea. 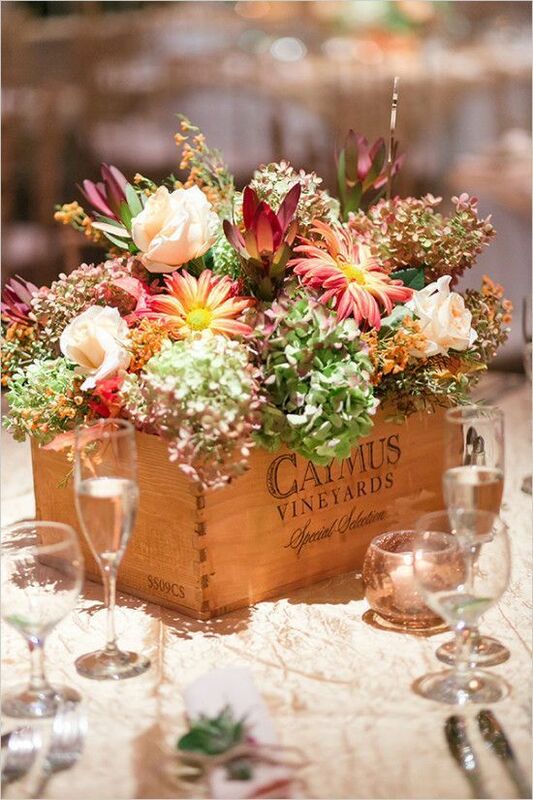 A simple Wine Crate can become the perfect Centerpiece…just add jars of water and your fresh blooms. Thank you Miss Puff for sharing. 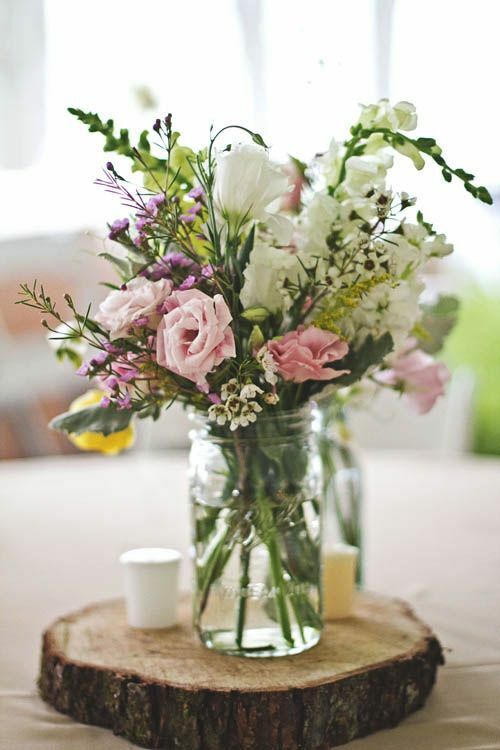 Rock ’n Roll Bride shows us that beautiful flower plus a simple Mason Jars equal pure beauty! 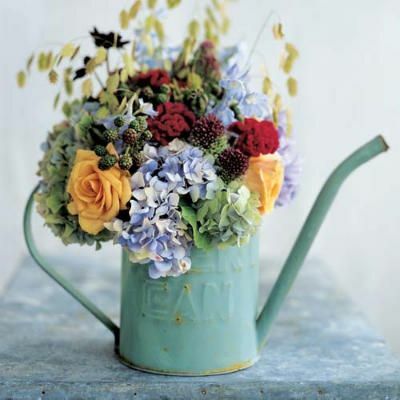 You can never go wrong with a fabulous watering can to hold your fresh and fabulous flowers! When I saw this on Pinterest my heart fluttered a bit! This is one of my favorite alternative vases ever. 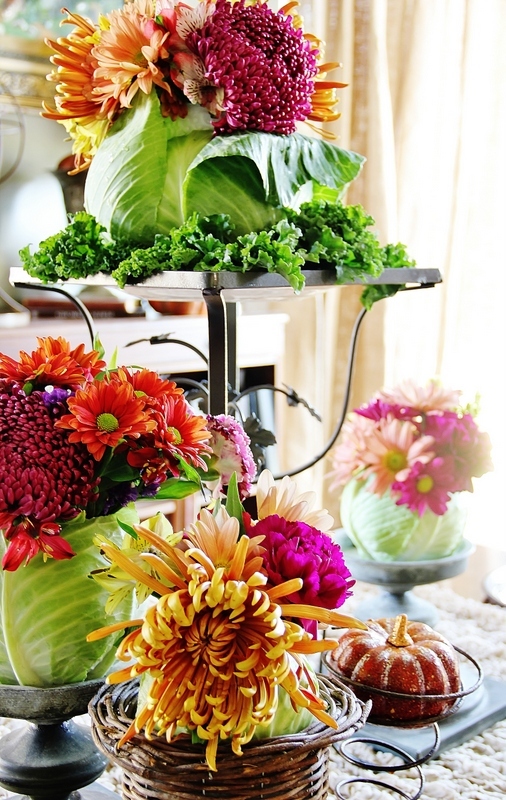 How much do you love how KariAnne from Thistlewood Farms turned cabbages into vases…AWESOME!!! 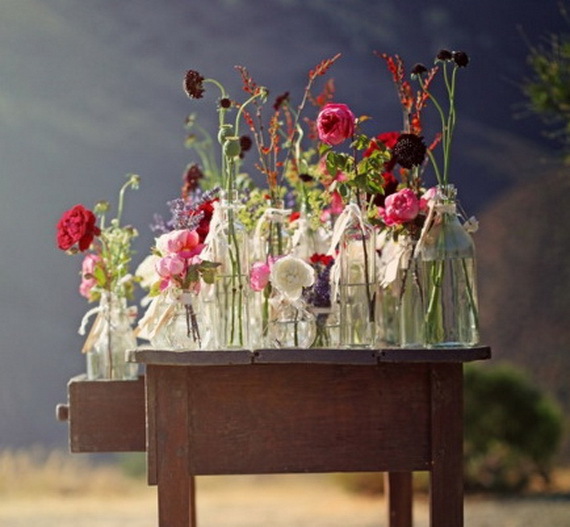 Family Holiday highly suggests you saving all different sizes of glass bottles…fill them with single blooms and create! 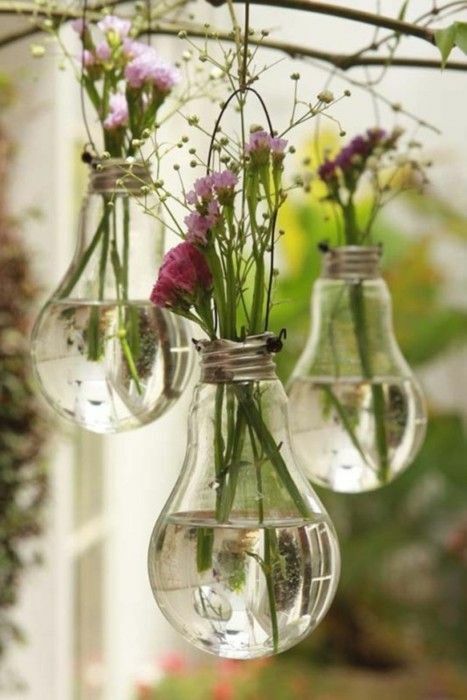 Another fabulous idea found on Pinterest are these whimsical light bulb vases…how unique and fun are these. 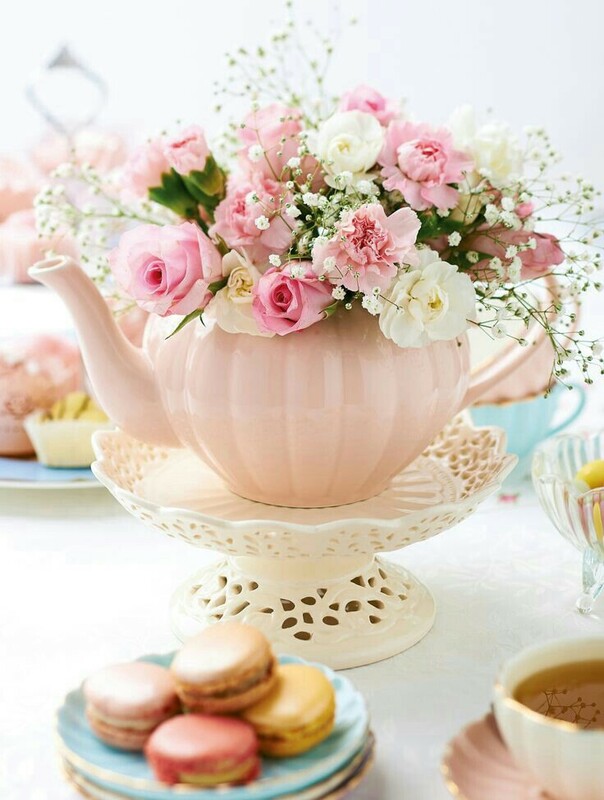 Over at Style Me Pretty you will find the other half to the Teapot…the Teacup is a fabulous vessel too! 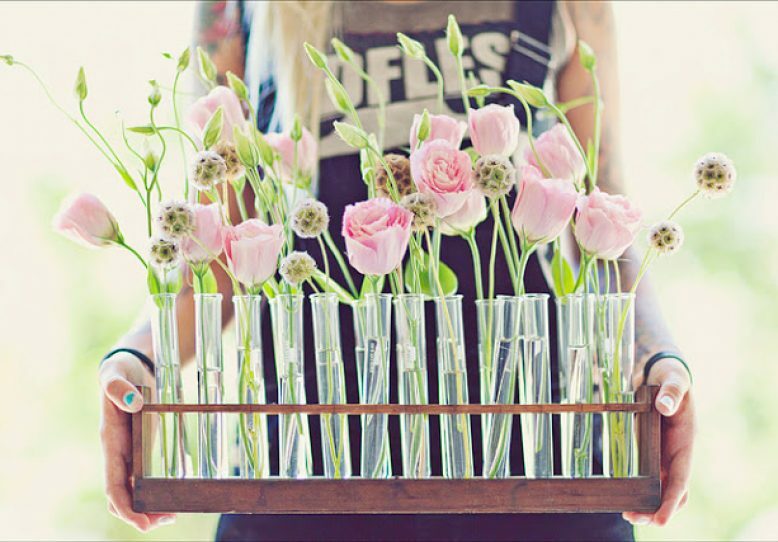 Nope…Test Tubes do not have to be for the Scientist in your life…they can become your flowers best friend! Come on over to A Pair and a Spare and they will show you how to create this little masterpiece!